Sidewalk cafes, bistro chairs, and outdoor umbrellas all come to mind whenever I think about French meals because the French are renowned for dining outside. 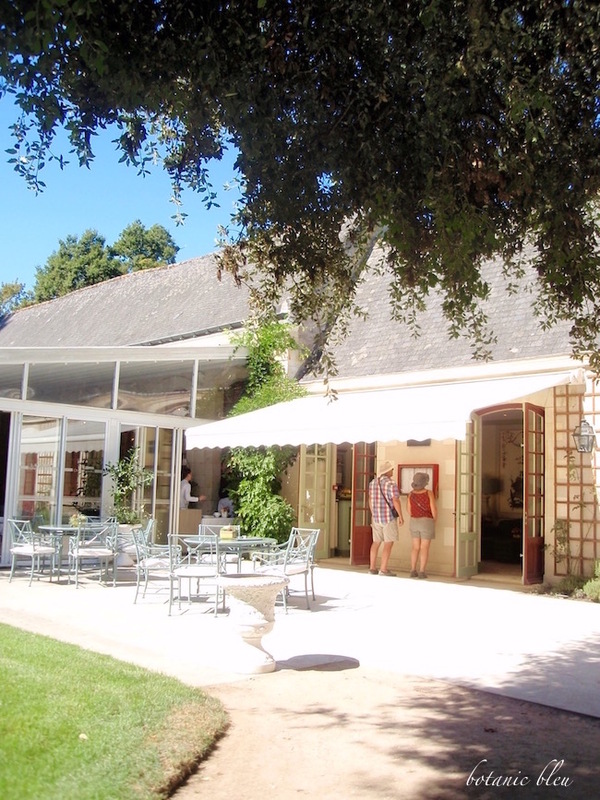 Last summer, we saw some beautiful French design garden/patio furniture at the Château Chenonceau when we had lunch at the gourmet restaurant, l'Orangerie, on the castle's grounds. Two unknown tourists were checking out the menu of the restaurant as I was checking out the patio furniture. Soft grey-bleu metal chairs with cushioned seats and an X-design on the chair arms and backs are simple in design, but elegant. I had already checked the menu online and made reservations at the restaurant months before we left for France. That gave me more time to admire and to photograph the beautiful setting once we arrived. Small medallions adorn the intersection of the metal Xs. Wouldn't you love to have a dining set like this in your back yard? I know I would. 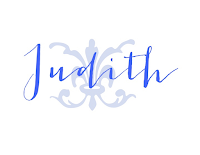 French design is my favorite style, and traveling to France is such an inspiring adventure. 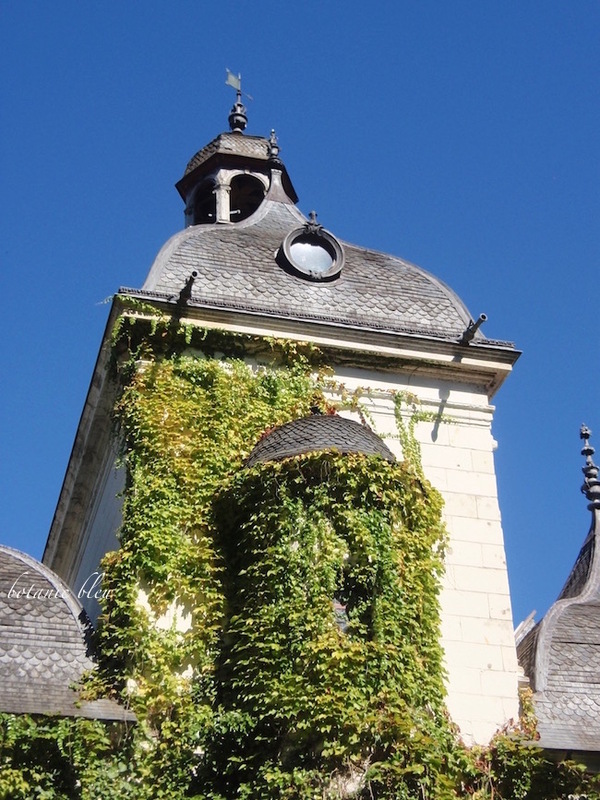 I love looking at the photos from France to study them for all the details of French style. At the opposite end of the patio is a shady seating area with a long outdoor bench with the same design of the dining chairs. 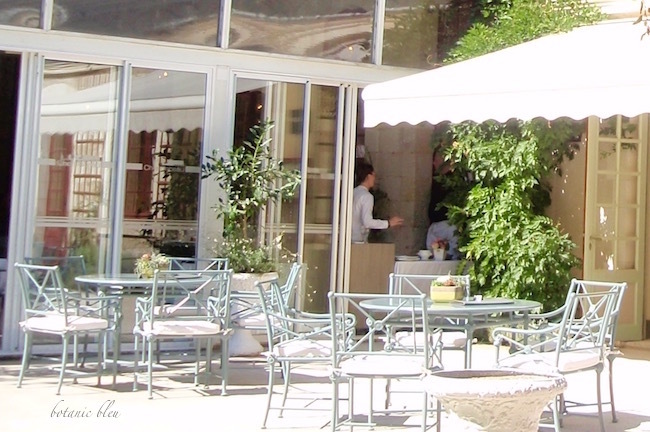 The ordinary-looking patio and restaurant are in the shadow of the castle towers of what once were the Royal Stables. Another reason traveling to France is an inspiring adventure... seeing beautiful buildings with elaborate details spark my imagination. Back home this spring, I found similar patio furniture at Home Depot. 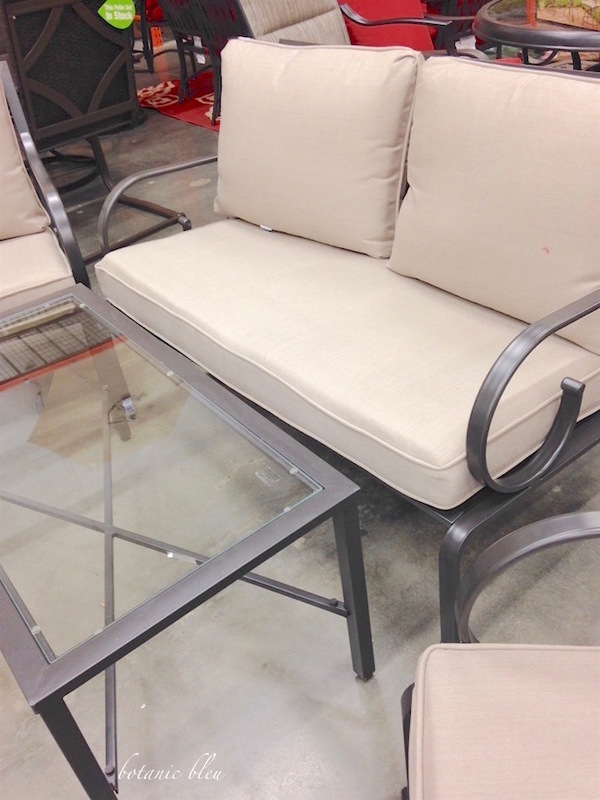 If you are looking for affordable French-style furniture for your home's outdoor spaces, take a look at these. I do not have an affiliation with Home Depot, but maybe I should talk with them about creating one. 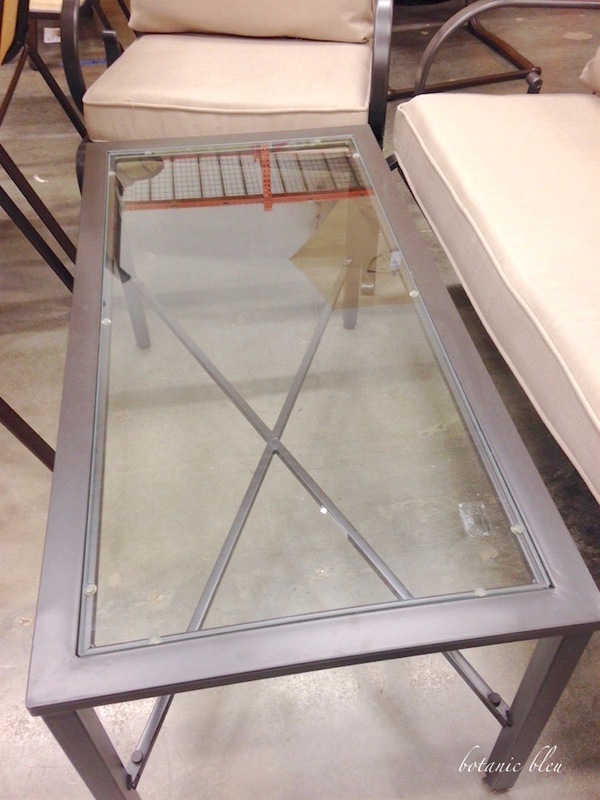 :) Who knew that Home Depot would be a source for French design? The metal frames would be super easy to paint any color. Of course, I would choose the same soft grey-bleu of the furniture at Chenonceau. The back of the double bench behind the cushions is the X-style shown in the chair that goes with this set. 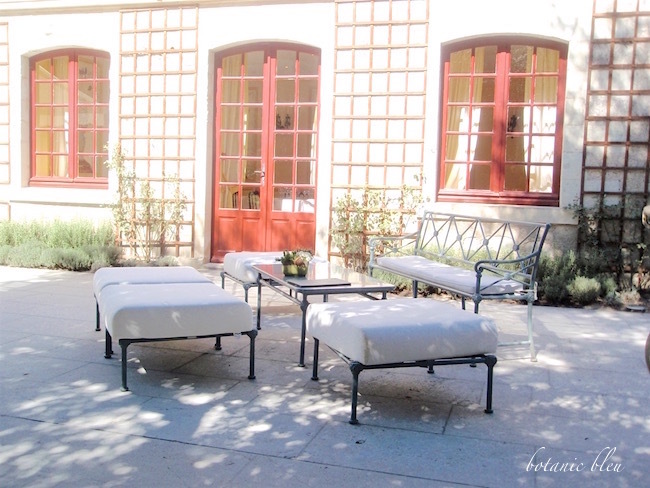 Don't be surprised if you see my existing metal patio table and chairs painted in the grey-bleu color of the Chenonceau garden furniture. Monday Social beginning at 4 p.m. each Sunday. Love that X-style! 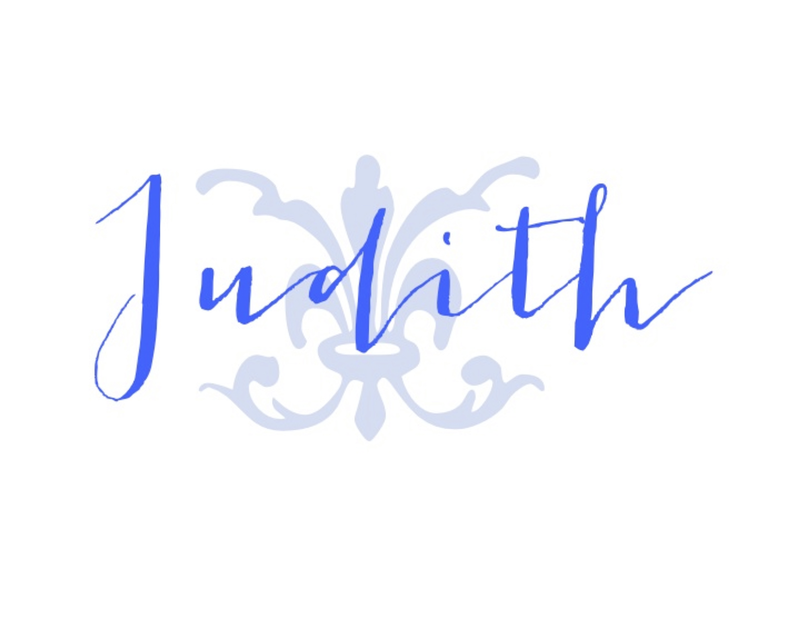 You go, Judith! Those chairs from Home Depot really do have the same French lines. It's easy to see that your trip to France was amazing. Have a great weekend! Those Home Depot chairs are such a great design. 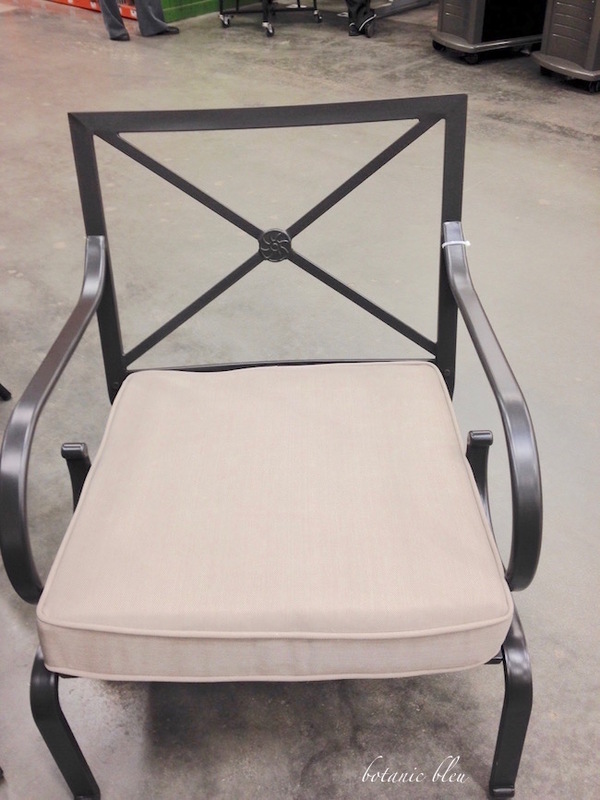 We have some patio furniture in metal that would look good that color too. Thanks for the inspiring photo trip of France, probably as close as I will get. Your photos are so pretty! Makes me want to pack my bags and go! Enjoy your patio in this lovely spring we are having. I certainly am enjoying my alfresco dining and time on the terrace.